For those who haven't read the divisive Jonathan Safran Foer novel on which the film is based, Extremely Loud & Incredibly Close follows young Oskar Schell (Thomas Horn), a precocious (to the point of obnoxious) child who lost his father (Tom Hanks) a couple of years earlier in the World Trade Center attack. 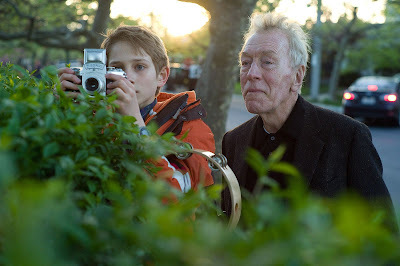 Harboring guilt over a secret connected to his father's death, the bewildered Oskar searches for answers in his dad's possessions and finds a key in an envelope labeled "Black." Surmising that it is the owner's last name, he embarks on a redemptive scavenger hunt throughout the five boroughs to visit all 472 people listed in the phone book under the last name of "Black." Contrived as a story about an unattended child given free rein in New York City may already sound, Foer's story, which admittedly may play better on paper, piles on even more absurdities. There's Oskar's friendship with a mysterious elderly man (Max von Sydow) who refuses to speak, communicating instead by writing notes or raising the palms of his hands, alternately tattooed "Yes" and "No." There's the seeming ignorance of the boy's mother (Sandra Bullock), a repressed single mother who understandably should be at wit's end every time her phobic son (whose behavior sounds like a mild case of undiagnosed Asperger's syndrome) disappears on one of his extended jaunts with a tambourine he constantly shakes to relax him. All of this comes to be justified by the film's conclusion, but only in the most emotionally manipulative and heart-wrenching ways. 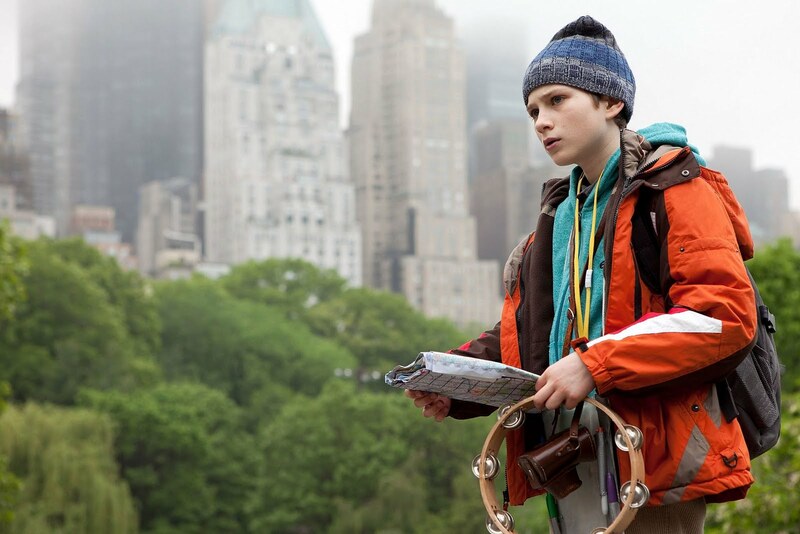 What director Stephen Daldry seems to be initially framing as childlike whimsy, taking place in an utterly harmless storybook New York right out of The Royal Tenenbaums (2001), could be explained away as the ravings of an unreliable narrator, since the eccentric Oskar is the one telling the story. But mom's flashbacks to the actual event of "the worst day" as Oskar calls it, disrupt the possibility that this is what Daldry might be going for. So instead we're left with a cloying narration by Oskar—one of the most obnoxious protagonists on whose shoulders a film has ever rested upon—an overscored, insensitive depiction of 9/11 and a frustratingly misguided delineation of the loss of a parent. You can almost feel Extremely Loud & Incredibly Close reaching out for a Golden Globe (didn't even get nominated) because it's too shallow to think it has a possibility to get an Oscar. For a slightly more upbeat, realistic depiction of a family suffering through the loss of a parent, I instead suggest We Bought a Zoo. 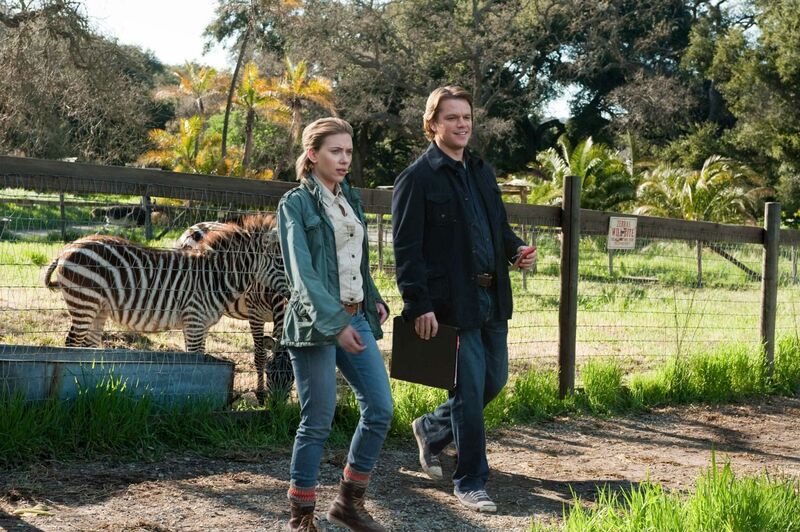 Based on a true story, it's the story of a widower (Matt Damon) and his two kids (Colin Ford, Maggie Elizabeth Jones) escaping their grief by throwing themselves into the renovation of a zoo they bought in the country. Predictably, both father and son each become romantically entangled with a couple of employees (Scarlett Johansson, Elle Fanning), too. Hey, I never said this film is original or surprising. Its title is pretty much what it's about. But Cameron Crowe's stab at a family film, though deeply flawed, is still a heck of a more enjoyable way to spend the holidays at the movies than trying to decipher the loaded metaphors of a melodramatic director and his too precious source material.